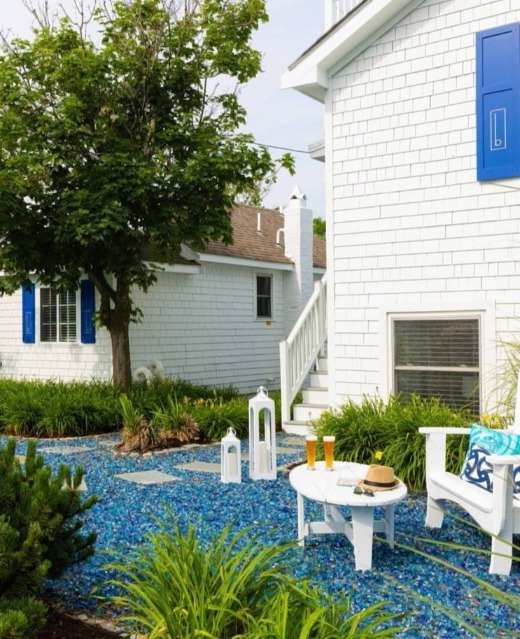 Coastal Garden Landscaping Ideas that capture the refreshing sparkling blue colors of the ocean, using blue glass mulch & landscaping pebbles. 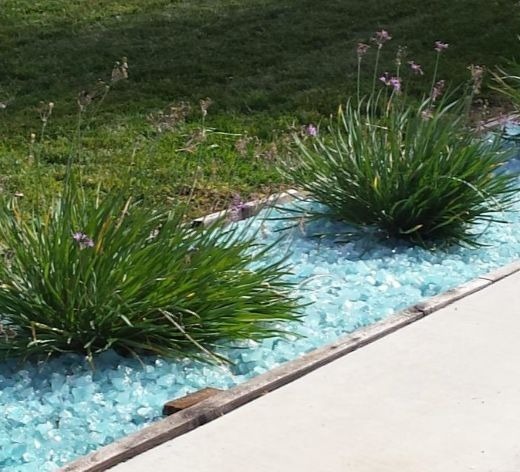 Blue landscaping glass has the look and feel of Seaglass. 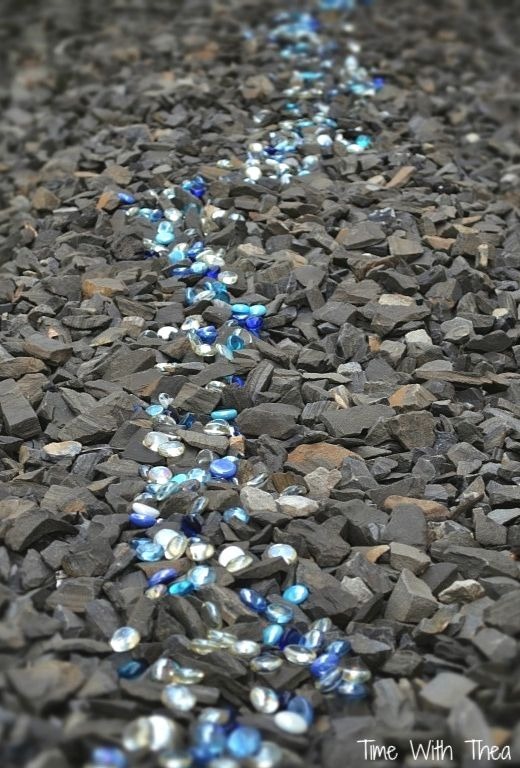 Instead of gravel stones you can use blue glass pebbles to create an oceanic space in you yard. From Style Editor & Author Fifi O'Neil's Facebook Page. 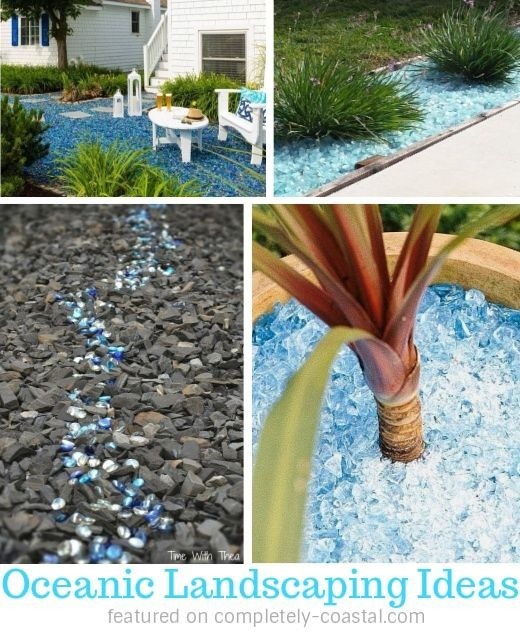 Blue Glass Mulch Landscaping Ideas at HGTV. When using glass mulch for landscaping, make sure to install it over high quality landscape fabric so it doesn’t sink into the soil. 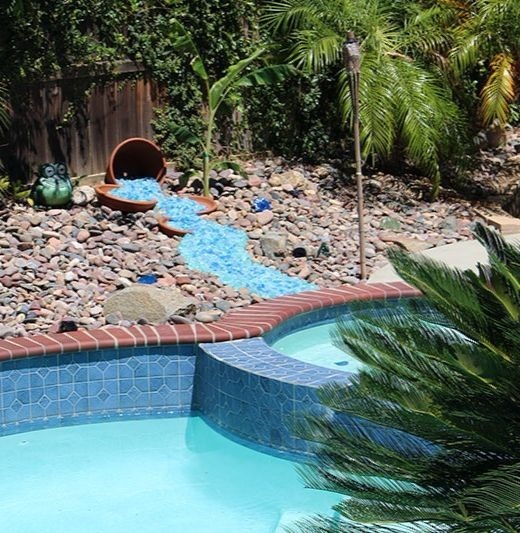 Blue Pebbles Bahama Blend from Exotic Pebbles and Aggregates was used to create this lovely river that flows into the backyard pool. 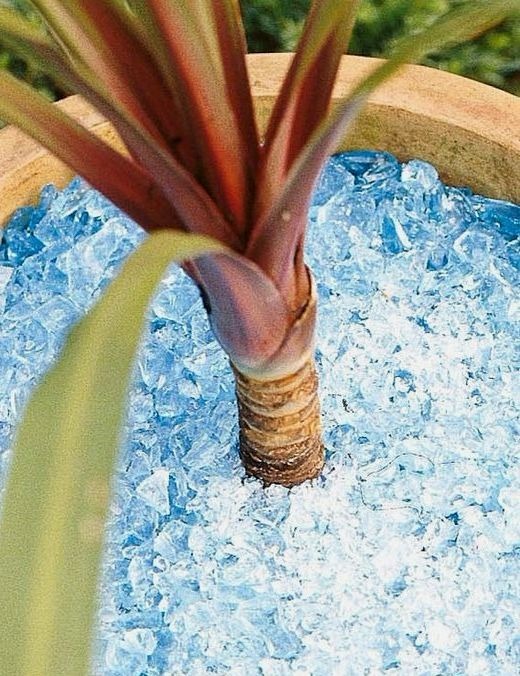 Add blue glass or glass pebbles to your garden landscape wherever you want a bit of oceanic sparkle. Via Hometalk. Just like Seashell Mulch, you can use seaglass inspired glass mulch for containers to create pots with perks! According to HGTV, container gardening is one of the most popular trends among gardeners, both expert and novice. 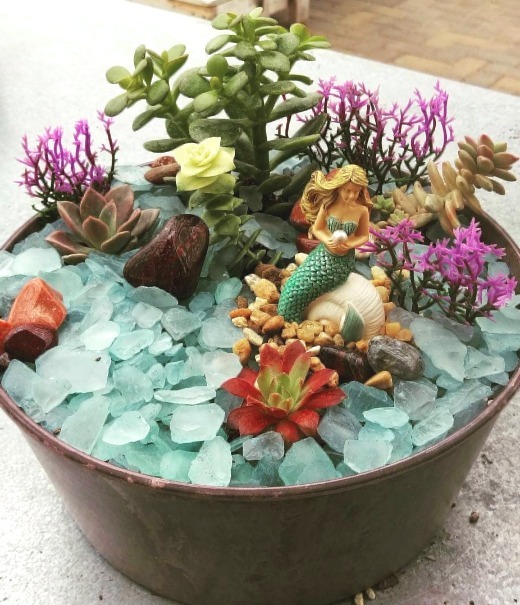 A mermaid fairy garden in a pot using seaglass. From Greenwood Nursery on Instagram. 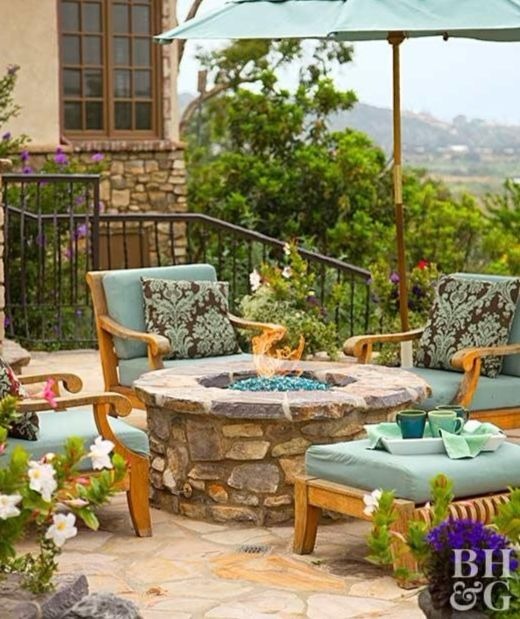 Firepit idea from BHG using Blue Tempered Fire Glass. You might also want to check out a nifty DIY bucket firepit idea that uses blue tempered glass featured on Seaglass Display Ideas.